Directions: The entrance to the CIDB complex is near the end of northbound Jalan Cheras, at the Pudu/ Chan Sow Lin junction. Info / Insights: Here is a convention centre that is a little off the beaten track and at a somewhat refreshing location for attendees. Unfortunately little information is available about this new facility currently. 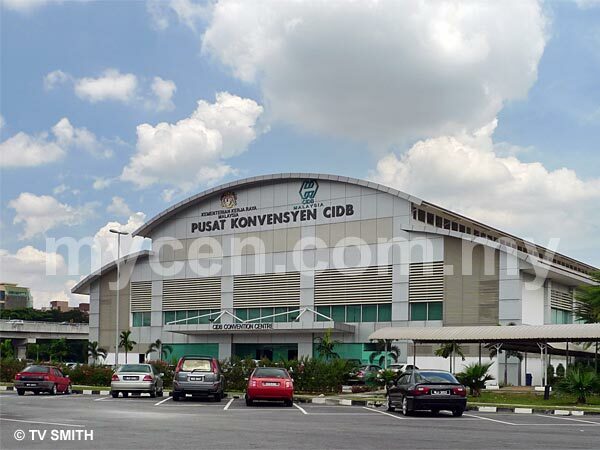 It is owned by the Construction Industry Development Board CIDB or Lembaga Pembangunan Industri Pembinaan Malaysia (under Kementerian Kerja Raya Malaysia). The building is located in the huge complex that is also the JKR workshop in Chan Sow Lin.